The provisions of the Arkansas statutes that permit the filing of mechanics liens and materialmen's liens can be found at Arkansas Code 18-44-101 et. seq. The full text of the Arkansas Mechanics Lien Law is provided below, and has been updated as of 2011. 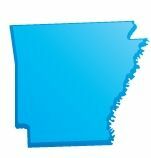 To see a quick synopsis of the most important provisions, take a look at our Arkansas Frequently Asked Questions page. (a) Every contractor, subcontractor, or material supplier as defined in § 18-44-107 who supplies labor, services, material, fixtures, engines, boilers, or machinery in the construction or repair of an improvement to real estate, or any boat or vessel of any kind, by virtue of a contract with the owner, proprietor, contractor, or subcontractor, or agent thereof, upon complying with the provisions of this subchapter, shall have, to secure payment, a lien upon the improvement and on up to one (1) acre of land upon which the improvement is situated, or to the extent of any number of acres of land upon which work has been done or improvements erected or repaired. (b) If the improvement is to any boat or vessel, then the lien shall be upon the boat or vessel to secure the payment for labor done or materials, fixtures, engines, boilers, or machinery furnished. The entire land, to the extent stated in § 18-44-101, upon which any building, erection, or other improvement is situated including that part of the land which is not covered with the building, erection, or other improvement as well as that part of the land which is covered with it, shall be subject to all liens created by this subchapter to the extent, and only to the extent, of all the right, title, and interest owned therein by the owner or proprietor of the building, erection, or other improvement for whose immediate use or benefit the labor was done or things were furnished. (a) Every building or other improvement erected or materials furnished, according to the provisions of this subchapter, on leased lots or lands shall be held for the debt contracted for, or on account of it, and also the leasehold term for the lot and land on which it is erected. (b)(1) In case the lessee shall have forfeited his or her lease, the purchaser of the building and leasehold term, or so much of it as remains unexpired, under the provisions of this subchapter, shall be held to the assignee of the leasehold term and, as such, shall be entitled to pay to the lessor all arrears of rent or other money, interest, and costs due under the lease, unless the lessor shall have regained possession of the leasehold land, or obtained judgment for the possession of it on account of the noncompliance by the lessee with the terms of the lease, prior to the commencement of the improvements thereon. (2) In this case the purchaser of the improvements under this subchapter shall have the right only to remove the improvements within sixty (60) days after he or she shall purchase them, and the owner of the ground shall receive the rent due him or her payable out of the proceeds of the sale, according to the terms of the lease, down to the time of removing the building. (a) Every contractor, subcontractor, or material supplier who shall furnish to any landowner any soil or drain pipe or tile for drainage of his or her land, or who shall put in soil or drain pipe or tile for any land, shall have a lien for each tract of forty (40) acres or less of the real estate upon which the soil or drain pipe or tile is placed for the payment of the lien. (b)(1) The lien for the soil or drain pipe or tile shall attach to the real estate and all improvements thereon in preference to any subsequent liens, encumbrance, or mortgage executed upon the land after the purchase of the soil or drain pipe or tile. (C) Enforced under this subchapter. (a) Every architect, engineer, surveyor, appraiser, landscaper, abstractor, or title insurance agent who shall do or perform any architectural, engineering, surveying, appraisal, landscaping, or abstracting services upon any land, or who shall issue a title insurance policy or provide landscaping supplies upon any land, building, erection, or improvement upon land, under or by virtue of any written agreement for the performance of the work with the owner thereof, or his or her agent, shall have a lien upon the land, building, erection, or improvement upon land to the extent of the agreed contract price or a reasonable price for those services. (b)(1) However, the lien does not attach to the land, building, erection, or improvement upon land unless and until the lien is duly filed of record with the circuit clerk and recorder in the county in which the land, building, erection, or improvement is located. As used in this subchapter, the “owner” of property shall include the owner of the legal title to property and any person, including all cestui que trust, for whose immediate use, enjoyment, or benefit a building, erection, or other improvement is made. (4) “Subcontractor” means any person who supplies labor or services pursuant to a contract with the contractor, or to a person in direct privity of contract with such person. (2) Certification that the owner or agent has received the preliminary notice specified under § 18-44-115(a), if applicable. (2)(A) Subject to suit by an aggrieved party in the circuit court where the property is located to enforce subsection (a) of this section including, without limitation, by the contempt powers of the circuit court. (B) The prevailing party in an action under this subdivision (b)(2) shall receive a judgment for any damages proximately caused by the violation of subsection (a) of this section, the costs of the action, and a reasonable attorney’s fee. Any contractor or subcontractor who shall purchase materials on credit and represent at the time of purchase that they are to be used in a designated building or other improvement and shall thereafter use, or cause to be used, the materials in the construction of any building or improvement other than that designated without the written consent of the person from whom the materials were purchased with intent to defraud that person shall be guilty of a violation if the materials were valued at one thousand dollars ($1,000) or more and upon conviction shall be punished by a fine not exceeding two thousand five hundred dollars ($2,500). (a)(1) The liens for labor performed or material or fixtures furnished, as provided for in this subchapter, shall have equal priority toward each other without regard to the date of filing the account or lien or the date when the particular labor or material was performed or furnished. All such liens shall date from the time that the construction or repair first commenced. (D) Demolition in an existing structure. (3) In all cases in which a sale shall be ordered and the property sold, and the proceeds arising from the sale are not sufficient to discharge in full all the liens against the property without reference to the date of filing the account or lien, the proceeds shall be paid pro rata on the respective liens. (b)(1)(A) The liens for labor performed or materials or fixtures furnished, as provided for in this subchapter, shall attach to the improvement on which the labor was performed or the materials or fixtures were furnished in preference to any encumbrance existing on the real estate prior to the commencement of construction or repair of the improvement. (B) In all cases in which the prior encumbrance was given for the purpose of funding construction or repair of the improvement, that lien shall have priority over all liens given by this subchapter. (2) The liens, as provided for in this subchapter, shall be enforced by foreclosure, as further provided for in this subchapter, and the property ordered sold subject to the lien of the prior encumbrance on the real estate. (c) The lien for labor performed and materials or fixtures furnished, as provided for in this subchapter, shall have priority over all other encumbrances that attach to the real estate or improvements thereon subsequent to commencement of construction or repair. Repealed by the Arkansas Legislature. (a) The lien given in this subchapter shall be transferable and assignable, but it shall not be enforced against the owner of the ground or buildings unless the owner of the ground or buildings shall have actual notice of the assignment or notice under subsection (b) of this section. (3) Delivered by any means that provides written, third-party verification of delivery at any place that the owner of the ground or buildings maintains an office, conducts business, or resides. (a) Every person who may wish to avail himself or herself of the benefit of the provisions of this subchapter shall give ten (10) days’ notice before the filing of the lien, as required in § 18-44-117(a), to the owner of a building or improvement that he or she holds a claim against the building or improvement, setting forth the amount and from whom it is due. (D) Means that provides written, third-party verification of delivery at any place where the owner of the building or improvement maintains an office, conducts business, or resides. (2)(A)(i) When served by an officer, his or her official return endorsed on the notice shall be proof of the service. (ii) When served by any other person, the fact of the service shall be verified by affidavit of the person serving the notice. (b) Verified by a return receipt signed by the addressee or the agent of the addressee, or a returned envelope, postal document, or affidavit by a postal employee reciting or showing refusal of the notice by the addressee or that the item was unclaimed. (b) The unopened original of the item marked unclaimed or refused by the United States Postal Service shall be accepted as proof of service as of the postmarked date of the item. (a)(1) No lien upon residential real estate containing four (4) or fewer units may be acquired by virtue of this subchapter unless the owner of the residential real estate, the owner’s authorized agent, or the owner’s registered agent has received, by personal delivery or by certified mail, a copy of the notice set out in this subsection. (2) The notice required by this subsection shall not require the signature of the owner of the residential real estate, the owner’s authorized agent, or the owner’s registered agent in an instance when the notice is delivered by certified mail. (3) It shall be the duty of the residential contractor to give the owner, the owner’s authorized agent, or the owner’s registered agent the notice set out in this subsection on behalf of all potential lien claimants before the commencement of work. (4) If a residential contractor fails to give the notice required under this subsection, then the residential contractor is barred from bringing an action either at law or in equity, including without limitation quantum meruit, to enforce any provision of a residential contract. (5)(A) Any potential lien claimant may also give notice. (B)(i) If before commencing work or supplying goods a subcontractor, material supplier, laborer, or other lien claimant gives notice under this section, the notice shall be effective for all subcontractors, material suppliers, laborers, and other lien claimants not withstanding that the notice was given after the project commences as defined under § 18-44-110(a)(2). (ii) If the notice relied upon by a lien claimant to establish a lien under this subchapter is given by another lien claimant under subdivision (a)(5)(B)(i) of this section after the project commences, the lien of the lien claimant shall secure only the labor, material, and services supplied after the effective date of the notice under subdivision (a)(5)(B)(i) of this section. (C) However, no lien may be claimed by any subcontractor, laborer, material supplier, or other lien claimant unless the owner of the residential real estate, the owner’s authorized agent, or the owner’s registered agent has received at least one (1) copy of the notice, which need not have been given by the particular lien claimant. (6) A residential contractor who fails to give the notice required by this subsection is guilty of a violation pursuant to § 5-1-108 and upon pleading guilty or nolo contendere to or being found guilty of failing to give the notice required by this subsection shall be punished by a fine not exceeding one thousand dollars ($1,000). I UNDERSTAND THAT EACH CONTRACTOR, SUBCONTRACTOR, LABORER, SUPPLIER, ARCHITECT, ENGINEER, SURVEYOR, APPRAISER, LANDSCAPER, ABSTRACTOR, OR TITLE INSURANCE AGENT SUPPLYING LABOR, SERVICES, MATERIAL, OR FIXTURES IS ENTITLED TO A LIEN AGAINST THE PROPERTY IF NOT PAID IN FULL FOR THE LABOR, SERVICES, MATERIALS, OR FIXTURES USED TO IMPROVE, CONSTRUCT, OR INSURE OR EXAMINE TITLE TO THE PROPERTY EVEN THOUGH THE FULL CONTRACT PRICE MAY HAVE BEEN PAID TO THE CONTRACTOR. I REALIZE THAT THIS LIEN CAN BE ENFORCED BY THE SALE OF THE PROPERTY IF NECESSARY. I AM ALSO AWARE THAT PAYMENT MAY BE WITHHELD TO THE CONTRACTOR IN THE AMOUNT OF THE COST OF ANY SERVICES, FIXTURES, MATERIALS, OR LABOR NOT PAID FOR. I KNOW THAT IT IS ADVISABLE TO, AND I MAY, REQUIRE THE CONTRACTOR TO FURNISH TO ME A TRUE AND CORRECT FULL LIST OF ALL SUPPLIERS AND SERVICE PROVIDERS UNDER THE CONTRACT, AND I MAY CHECK WITH THEM TO DETERMINE IF ALL MATERIALS, LABOR, FIXTURES, AND SERVICES FURNISHED FOR THE PROPERTY HAVE BEEN PAID FOR. I MAY ALSO REQUIRE THE CONTRACTOR TO PRESENT LIEN WAIVERS BY ALL SUPPLIERS AND SERVICE PROVIDERS, STATING THAT THEY HAVE BEEN PAID IN FULL FOR SUPPLIES AND SERVICES PROVIDED UNDER THE CONTRACT, BEFORE I PAY THE CONTRACTOR IN FULL. IF A SUPPLIER OR OTHER SERVICE PROVIDER HAS NOT BEEN PAID, I MAY PAY THE SUPPLIER OR OTHER SERVICE PROVIDER AND CONTRACTOR WITH A CHECK MADE PAYABLE TO THEM JOINTLY. I HEREBY CERTIFY THAT THE SIGNATURE ABOVE IS THAT OF THE OWNER, REGISTERED AGENT OF THE OWNER, OR AUTHORIZED AGENT OF THE OWNER OF THE PROPERTY AT THE ADDRESS SET OUT ABOVE. (8)(A) If the residential contractor supplies a performance and payment bond or if the transaction is a direct sale to the property owner, the notice requirement of this subsection shall not apply, and the lien rights arising under this subchapter shall not be conditioned on the delivery and execution of the notice. (B) A sale shall be a direct sale only if the owner orders materials or services from the lien claimant. (b)(1)(A) The General Assembly finds that owners and developers of commercial real estate are generally knowledgeable and sophisticated in construction law, are aware that unpaid laborers, subcontractors, and material suppliers are entitled to assert liens against the real estate if unpaid, and know how to protect themselves against the imposition of mechanics’ and material suppliers’ liens. (B) The General Assembly further finds that consumers who construct or improve residential real estate containing four (4) or fewer units generally do not possess the same level of knowledge and awareness and need to be informed of their rights and responsibilities. (B) “Service provider” means an architect, an engineer, a surveyor, an appraiser, a landscaper, an abstractor, or a title insurance agent. (3) Because supplying the notice specified in subsection (a) of this section imposes a substantial burden on laborers, subcontractors, service providers, and material suppliers, the notice requirement mandated under subsection (a) of this section as a condition precedent to the imposition of a lien by a laborer, subcontractor, service provider, or material supplier shall apply only to construction of or improvement to residential real estate containing four (4) or fewer units. (4) No subcontractor, service provider, material supplier, or laborer shall be entitled to a lien upon commercial real estate unless the subcontractor, service provider, material supplier, or laborer notifies the owner of the commercial real estate being constructed or improved, the owner’s authorized agent, or the owner’s registered agent in writing that the subcontractor, service provider, material supplier, or laborer is currently entitled to payment but has not been paid. (5)(A) The notice shall be sent to the owner, the owner’s authorized agent, or the owner’s registered agent and to the contractor before seventy-five (75) days have elapsed from the time that the labor was supplied or the materials furnished. (iii) Means that provides written, third-party verification of delivery at any place where the owner, the owner’s registered agent, or the owner’s authorized agent maintains an office, conducts business, or resides. (C) When served by mail, the notice shall be complete when mailed. (ii) The unopened original of the item marked unclaimed or refused by the United States Postal Service shall be accepted as proof of service as of the postmarked date of the item. IF BILLS FOR LABOR, SERVICES, OR MATERIALS USED TO CONSTRUCT OR PROVIDE SERVICES FOR AN IMPROVEMENT TO REAL ESTATE ARE NOT PAID IN FULL, A CONSTRUCTION LIEN MAY BE PLACED AGAINST THE PROPERTY. THIS COULD RESULT IN THE LOSS, THROUGH FORECLOSURE PROCEEDINGS, OF ALL OR PART OF YOUR REAL ESTATE BEING IMPROVED. THIS MAY OCCUR EVEN THOUGH YOU HAVE PAID YOUR CONTRACTOR IN FULL. YOU MAY WISH TO PROTECT YOURSELF AGAINST THIS CONSEQUENCE BY PAYING THE ABOVE NAMED PROVIDER OF LABOR, SERVICES, OR MATERIALS DIRECTLY, OR MAKING YOUR CHECK PAYABLE TO THE ABOVE NAMED PROVIDER AND CONTRACTOR JOINTLY." (D) Conceals himself or herself, has absconded, or absents himself or herself from his or her usual place of abode, so that the notice required by § 18-44-114 or § 18-44-115 cannot be served upon him or her. (2) When filed, the notice shall have like effect as if served upon the owner or his or her agent in the manner contemplated in § 18-44-114 or § 18-44-115. (b) A copy of the notice so filed, together with the certificate of the recorder of deeds that it is a correct copy of the notice so filed, shall be received in all courts of this state as evidence of the service, as provided in this section, of the notice. (c)(1) The recorder of deeds in each county of this state shall receive, file, and keep every such notice presented to him or her for filing and shall further record it at length in a separate book appropriately entitled. (2) For service so performed, the recorder of deeds shall receive for each notice, the sum of twenty-five cents (25¢), and for each copy certified, as stated in this section, of each of the notices he or she shall receive the sum of fifty cents (50¢), to be paid by the party so filing or procuring the certified copy, as the case may be. (d) The costs of filing and of one (1) certified copy shall be taxed as costs in any lien suit to which it pertains to abide the result of the suit. (B) An affidavit of notice attached to the lien account. (2) The lien account shall contain a correct description of the property to be charged with the lien, verified by affidavit. (B) A copy of each applicable notice given under §§ 18-44-114 -- 18-44-116. (b)(1)(A) It shall be the duty of the clerk of the circuit court to endorse upon every account the date of its filing and to make an abstract of the account in a book kept by him or her for that purpose, properly indexed. (v) A description of the property to be charged with the lien. (2) For this service, the clerk shall receive the sum of three dollars ($3.00) from the person laying or imposing the lien, which shall be taxed and collected as other costs in case there is suit on the lien. (3) The clerk shall refuse to file a lien account that does not contain the affidavits and attachments required by this section. (B) An action under subsection (f) of this section to protest the filing of the lien. (2) The bond shall be conditioned for the payment of the amount of the lien, or so much of the lien as may be established by suit, together with interest and the costs of the action, if upon trial it shall be found that the property was subject to the lien. (b)(1)(A) Upon the filing of the bond, if the circuit clerk or other officer before whom it is filed approves the surety, he or she shall give to the person claiming the lien, at his or her last known address, three (3) days’ notice of the filing of the bond. (ii) Form of mail addressed to the person to be served with a return receipt requested and delivery restricted to the addressee or the agent of the addressee. (2)(A) Within the three (3) days’ notice, the person claiming the lien may appear and question the sufficiency of the surety or form of the bond. (B) At the expiration of three (3) days, if the person claiming the lien shall not have questioned the sufficiency of the bond or surety or if the circuit clerk finds the bond to be sufficient, the circuit clerk shall note the filing of the bond upon the margin of the lien record and the lien shall then be discharged and the claimant shall have recourse only against the principal and surety upon the bond. (c)(1) If no action to enforce the lien shall be filed within the time prescribed by law for the enforcement of a lien against the surety, the bond shall be null and void. (2) However, if any action shall be timely commenced, the surety shall be liable in like manner as the principal. (d) If the circuit clerk shall determine that the bond tendered is insufficient, the person tendering the bond shall have twenty-four (24) hours within which to tender a sufficient bond, and unless a sufficient bond shall be so tendered, the lien shall remain in full force and effect. (e)(1) Any party aggrieved by the acceptance or rejection of the bond may apply to any court of competent jurisdiction by an action which is appropriate. (C) Requiring acceptance of the bond as may be necessary for the protection of the parties. (f)(1) A protest under subdivision (a)(1)(B) of this section shall be filed as a civil action in the circuit court of the county where the lien is filed. (B) All of the applicable requirements of §§ 18-44-114 and 18-44-115 were satisfied. (B) If within five (5) days, excluding Sundays and legal holidays, following service of the summons, complaint, and notice the defendant or defendants have not filed a written objection to the claim of the plaintiff, the court shall immediately issue an order discharging the lien upon the property described in the complaint. (C) If a written objection to the claim of the plaintiff is filed by the defendant or defendants within five (5) days from the date of service of the notice, summons, and complaint, the plaintiff shall obtain a date for the hearing of the plaintiff’s complaint and shall give notice of the date, time, and place of the hearing to all defendants. (4)(A) The action shall be heard as expeditiously as the business of the circuit court permits. (B) Evidence may be presented by affidavit, subject to Rule 56(e),(f), and (g) of the Arkansas Rules of Civil Procedure. (5) If the circuit court finds that the lien was not in the form required by § 18-44-117 or that the applicable requirements of §§ 18-44-114 and 18-44-115 were not satisfied, then the circuit court shall enter an order discharging the lien. (6) The prevailing party shall be entitled to a reasonable attorney’s fee and the costs of the protest. (g) Nothing in this section shall be construed to limit the right of an owner, mortgagee, or any other person with an interest in the property to contest the lien by declaratory judgment proceedings under § 16-111-101 et seq. (a) All actions under this subchapter shall be commenced within fifteen (15) months after filing the lien and prosecuted without unnecessary delay to final judgment. (2) A lis pendens is filed under § 16-59-101 et seq. The complaint, among other things, shall allege the facts necessary for securing a lien under this subchapter and shall contain a description of the property to be charged with the lien. In all suits under this subchapter, the parties to the contract and all other persons interested in the controversy and in the property charged with the lien may be made parties to the suit. Those that are not made parties shall not be bound by the proceedings. (a) In all cases in which a lien shall be filed under the provisions of this subchapter by any person other than a contractor, it shall be the duty of the contractor to defend at his or her own expense any action brought thereupon. During the pendency of the action, the owner may withhold from the contractor the amount of money for which the lien shall be filed. (b)(1) In case of judgment against the owner or his or her property upon the lien, the owner shall be entitled to deduct from any amount due by him or her to the contractor the amount of the judgment and costs. (2) If the owner shall have settled with the contractor in full, he or she shall be entitled to recover back from the contractor any amount so paid by the owner for which the contractor was originally liable. The court shall make orders in the case as will protect and enforce the rights of all interested therein. Whenever the owner of an erection or improvement, or of land on which an erection or improvement is put, or the owner of any boat or vessel, is a nonresident of the state or resides out of the county in which the erection or other improvement is put, as provided by this subchapter, or when the owner so conceals himself or herself that personal service of summons cannot be had on him or her, then the mechanic, builder, artisan, workman, laborer, or other persons entitled to a lien under this subchapter, upon instituting suit, may cause a warning order to issue and be published as may be prescribed by law for the issuance of warning orders in proceedings under attachment. Such service shall be binding and of full force and effect. (a) The court shall ascertain by a fair trial, in the usual way, the amount of the indebtedness for which the lien is prosecuted and may render judgment therefor in any sum not exceeding the amount claimed in the demand filed with the lien, together with interest and costs, although the creditor may have unintentionally failed to render in his or her account when filed the full amount of credits to which the debtor may have been entitled. (b) The judgment if for plaintiff shall be that he or she recover the amount of the indebtedness found due, to be levied out of the property charged with the lien therefor, and the property charged shall be correctly described in the judgment. (a) When any contractor, subcontractor, laborer, or material supplier who has filed a lien, as provided for in this chapter, gives notice thereof to the owner of property by any method permitted under § 18-44-115(f)(3) and the claim has not been paid within twenty (20) days from the date of service of the notice, and if the contractor, subcontractor, laborer, or material supplier is required to sue for the enforcement of his or her claim, the court shall allow the successful contractor, subcontractor, laborer, or material supplier a reasonable attorney’s fee in addition to other relief to which he or she may be entitled. (b) If the owner is the prevailing party in the action, the court shall allow the owner a reasonable attorney’s fee in addition to any other relief to which the owner may be entitled. Section Repealed by the Arkansas Legislature. (a) Whenever any indebtedness which is a lien on any real estate, erection, building, or other improvement is paid and satisfied, it shall be the duty of the creditor to enter satisfaction of the lien upon the record or margin thereof in the office of the clerk of the circuit court. (b) Any creditor refusing or neglecting to do so for ten (10) days after payment shall be liable to any person injured to the amount of injury and for cost of suit. (a) It shall be unlawful for any contractor, subcontractor, or other person who has performed work or furnished materials for the improvement of any property when the work or materials may give rise to a mechanic’s, laborer’s, or materialman’s lien under the laws of this state, this subchapter, §§ 18-44-201--18-44-210, and § 18-44-301--18-44-305, or any other statute providing for a mechanic’s, laborer’s, or materialman’s lien, or the assignee of such person, knowingly to receive payment of the contract price or any portion of it without applying the money so received toward the discharge of any liens known to the person receiving the payment, or properly record it as required by statutes, with the intent thereby to deprive the owner or person so paying the contractor or other person receiving payment of his or her funds without discharging the liens and thereby to defraud the owner or person so paying. (b) In any prosecution under this section as against the person so receiving payment, when it shall be shown in evidence that any lien for labor or materials existed in favor of any mechanic, laborer, or materialman and that the lien has been filed within the time provided by law in the office of the circuit clerk or other officer provided by law for the filing of such liens, and that the contractor, subcontractor, or other person charged has received payment without discharging the lien to the extent of the funds received by him or her, then the fact of acceptance of the payment without having discharged the lien within ten (10) days after receipt of the payment or the receipt of notice of the existence of the lien, whichever event shall occur last, shall be prima facie evidence of intent to defraud on the part of the person so receiving payment. (c)(1) If the amount of the contract price so received and not applied to the discharge of the liens, with the intent to defraud, shall exceed the sum of twenty-five dollars ($25.00), the party so receiving shall be deemed guilty of a felony and shall be punished by a fine not exceeding one thousand dollars ($1,000) or by imprisonment in the Department of Corrections for not less than one (1) year nor more than five (5) years, or by both. (2) If the amount so received does not exceed the sum of twenty-five dollars ($25.00), the party shall be deemed guilty of a misdemeanor and punished by imprisonment in the county jail for not more than one (1) year or by fine not less than ten dollars ($10.00) nor more than three hundred dollars ($300), or by both. In the event that property is jointly owned, the signature of one (1) of the owners is sufficient for the purposes of this chapter.